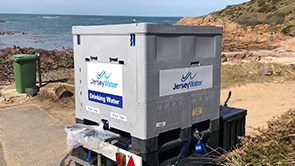 To help reduce the use of throwaway plastic bottles, Jersey Water are kindly supplying water containers so all walkers can refill their own bottles. You will find the Jersey Water containers at the following checkpoints - Les Fontaines, Le Braye and St. Aubin. Bring your own drinking bottle and help reduce the use of disposable plastic.